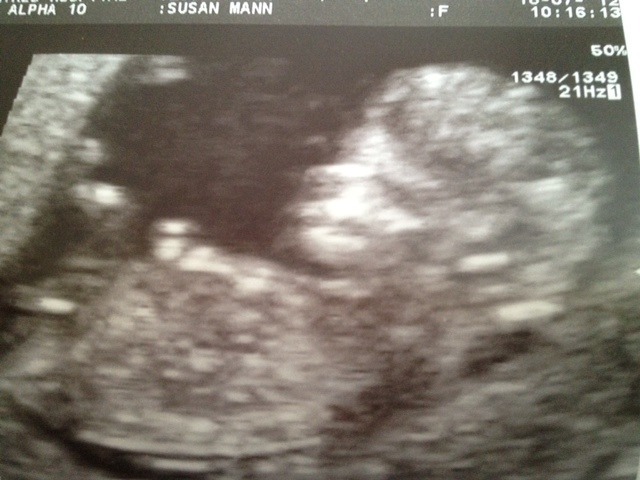 On Sunday I made my silent Sunday picture my 12 week scan photo. I was nervous about posting this, not sure why. We have spent an entire year trying for this baby and I go to London for Cybher, with my husband I might add and come back pregnant. I have my first ever baby conceived down south. Exciting. I have kept it quite on twitter and my blog because my work follow me on social media and I didn’t want them finding out. I was pretty stressed about telling them I was pregnant. I work as a Manager for the engineering department in a small IT company, plus a software developer. We’ve recently taken over another company and it’s been hectic and we’ve doubled our customer base. So I’ve been managing this, in between puking and feeling super tired. It’s not been easy. I have to say I felt some relief when I finally told my boss last Thursday that I was pregnant. He was extremely shocked and wanted me to put it in writing I wouldn’t have any more. I’m hoping he was joking at the latter, but I’m reckoning 3 is my limit. I’m actually worrying about how I’ll cope with 3. Anyone out there with 3 kiddies, I’m open for advice. I’m due on the 28th of January, which to everyone else would be an ok date. For me, I already have a Christmas eve baby, 21st January baby and a hubby on the 3rd January. This will be a planned section or they are pushing for it anyway. At least I get the birthdays and Christmas out of the way in one month. The boys are delighted at being big brothers. My little one Tyler is wanting me to have a baby piggy so think he might be a little disappointed. They said they would be happy with either a brother or a sister. How have I been feeling for the past few months? Crap. I have been soooooo tired and felt sick constantly. My blog has suffered, I’ve not been tweeting as much and haven’t been able to read a book. I hope this starts to ease off soon and I get back to a bit of normality. I can safely say after how I’ve felt the past few month, like the life has been sucked out of me, I will not have any more after this little bundle makes his or her appearance. Please tell me the tiredness and sicky feeling goes away? I look forward to sharing this pregnancy on my blog, I didn’t have my blog before having my babies.